2credit: Host Ika on a piece of ice. 1credit: Break up to 2 subroutines on host sentry. 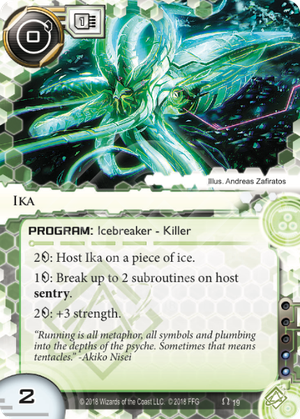 If the Runner uses credits from Flame-out to use Ika, and then moves Ika off of Flame-out, is Ika still trashed at the end of the turn?